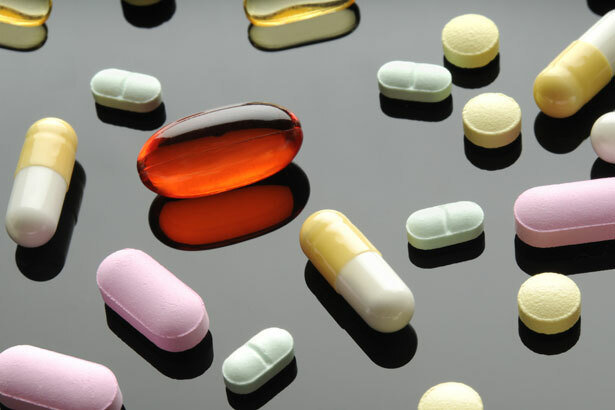 Medical Experts Say Stop Wasting Your Money on Vitamins! Countless wellness magazines, websites, fitness professionals and even doctors tout the benefits of nutritional supplements on a regular basis, but now according to a finding published in the Annals of Internal Medicine, they have had it all wrong. Worse yet, the supplements many of us have been taking may actually be harming us. The new findings conclude that not only do most supplements not prevent the chronic diseases that many are trying to ward off, but because many Americans to not have micronutrient deficiencies, they may be overdosing. While this news may be shocking to many, it isn't new news to experts that have long urged us to get all of our vitamins and minerals directly from foods; nothing will ever benefit your body the way a healthy diet filled with fruits, vegetables, lean protein, nuts and seeds and, of course, exercise will. The study also pointed out that while the use of supplements overall have been growing more or less steadily for decades in the US, UK and other European countries, the usage of some individual supplements have gone down after negative results made headlines (vitamin E and beta-carotene, for example). With that in mind, it will be interesting to see what effect these findings now have on the $28 billion a year that US consumers spend on supplements. The Council for Responsibile Nutrition (CRN), a group that represents the supplement industry, has been fighting these findings saying that it isn't realistic for most Americans to get all the vitamins and minerals they need via their diet. While that may be true, the studies that show that supplements are no more effective than a placebo clearly taints the argument that supplements are a viable solution. Here's to hoping one day our economy will work in such a way that healthy produce will not be grossly overpriced and big corporations will focus their marketing efforts on carrots and celery and not Snickers and sugary cereal. This is a good start!